Buying and owning the home is still a dream for many of the people. More than 1.5 billion people do not have their own home. Loans are mostly severe and the banks have a very strict process of sanctioning the loan by going through a security investigation and a history check of the person. Home Loans Company is planning to use the blockchain technology platform to make it easier for the people to purchase the property of their own. The platform is created on the peer to peer network and the Ethereum Block chain using the HL Coin’s cryptocurrency. This enables the people to buy the loans at minimal interest rate without any intermediates. This p2p platform does not depend on the economic factors of each state and also not based on any influence of purchaser or the borrower. HL coin currency will be used with full potential in the real estates. People from all over the world can convert their currency into a cryptocurrency which is unadulterated by inflation. In the long run, all the 1 billion people will be able to get the loan for their own housing. 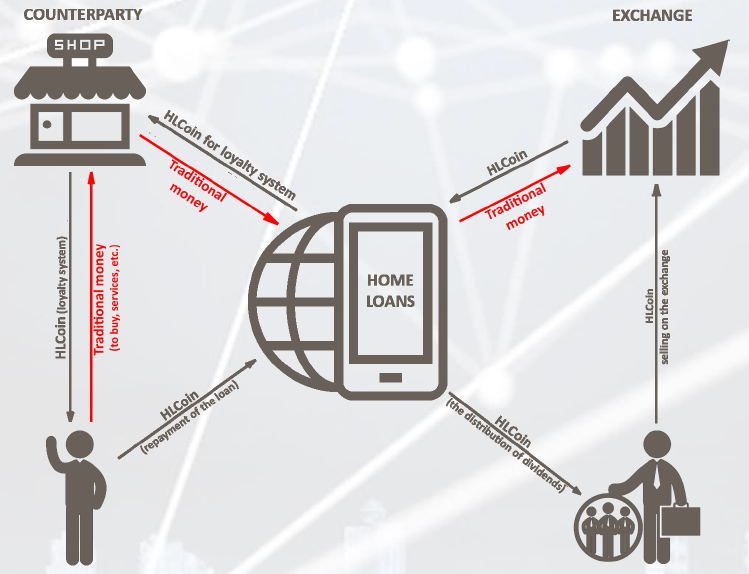 Home Loans Company is offering rewards in the form of HL coin by doing various activities like inviting the friends to the HL platform and do volunteering programmes. With the blockchain technology, Home Loan Company comprises of members working in the real estate more than a decade and members from Finance ministry and IT development experience of more than five years. The borrower will be identified by the electronic identification through the blockchain and the data will be collected through the mobile application Home Loans. Every transaction will be tracked by the smart contract and stored in the distributed register. The international platform will provide loans for any types namely: Loans for the purchase of the land, secondary housing, for houses under the construction and for purchasing their own property. The mobile application uniting the parties will be able to encourage the users to buy goods and services from the partner companies by giving offers like cashbacks and rewards. HL Coin will be provided at the exchange rate to the customers. The monthly fee is charged to the organisation for placing the name in the mobile application of Home Loan. The counterparty receives the customers and the clients by providing the HL coins. The investors will invest for the loans in the fiat currency in Home loan platform which is then used in the exchange to convert to the HL coins. These HL coins are used as the circulation in the HL platforms, counterparts and the clients. 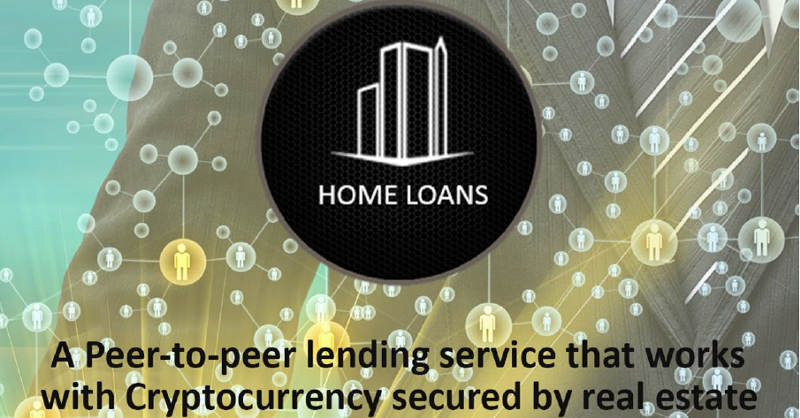 Thus Home loans attain their goals by helping the private investors and business working on the blockchain technology platform. The tokens are being launched with the rate of one HLC token equals one United States dollars. With its experience in the real estate sector for more than ten years, Home Loan is planning to launch it in the Blockchain platform. The team comprises of members from real estate business, engineers and tech experts.